It's been a while since I've eaten in Bon Chon Chicken. The reason being because my favorite store in Eastwood is now kinda far from where I live. I used to have lunch there almost everyday and I pace myself so I could take in a couple of wings, thigh and drumsticks before I go back to work. Aside from that, I also love the Japchae but I am trying to refrain from carbs so I'm always concentrating on chicken when in Bon Chon. There's more reason now to do that because they've just launched a brand new flavor today, they're calling it Crunchy Garlic! I still love my Soy Garlic, the Spicy one and also the Honey Citrus flavors. Filipinos love the thought of having something intensely flavorful. This one's got a sweet, salty and zesty exterior, sprinkled with golden garlic bits and super crunchy outside so you'll still hear that perfect crunch each time you take a bite off of it. I love how it doesn't hold back on the garlic flavor. The smell actually radiates across the room so even as they're cooking it in the kitchen you can feel how good it is right off the bat. 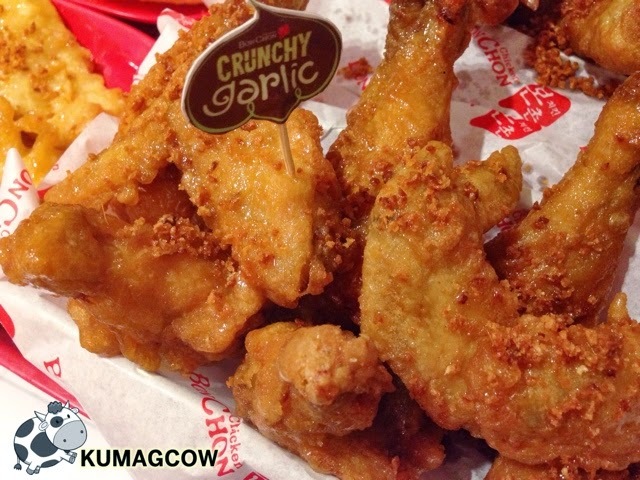 You now have another choice to love Bon Chon as they add a new thing on their menu. 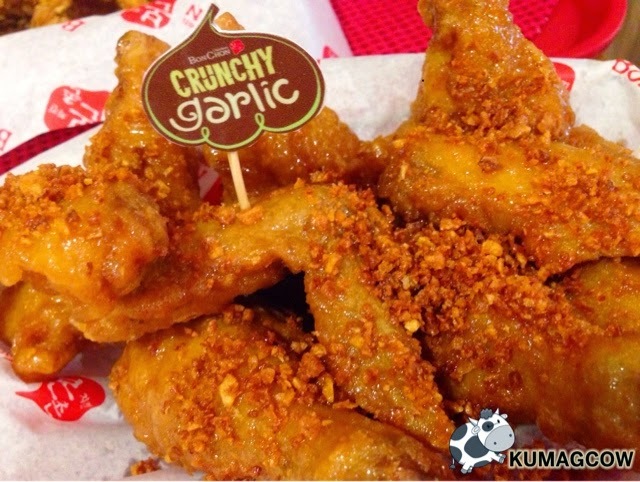 They continue reinventing what they already have so patrons wouldn't be bored and have something to look forward to each time they go to a Bon Chon branch. 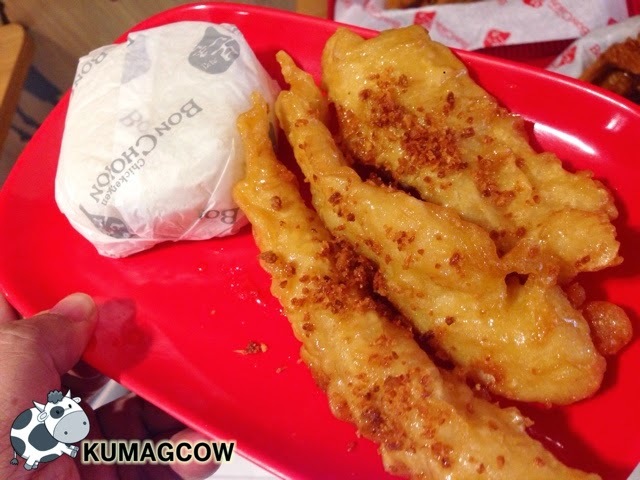 Oh and there's Crunchy Garlic Cream Dory too for those fish lovers out there! I've already seen a couple of people in my timeline wanting to go to Bon Chon and get one of these new Korean Fried Chicken flavors that only Bon Chon has. 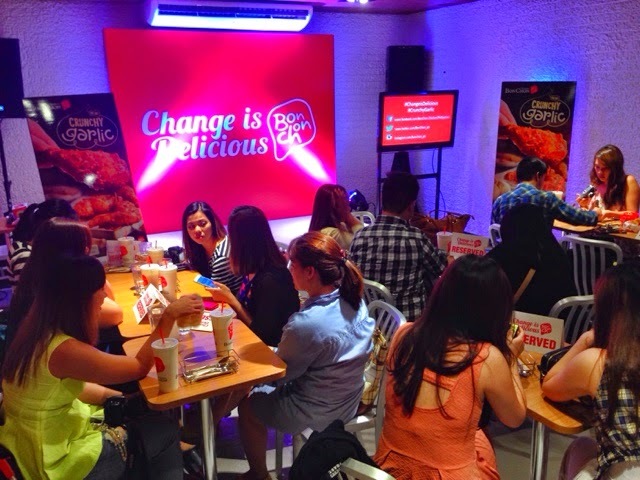 There's a lot of brands out there, but it seems that Bon Chon has been able to take the lead since they opened shop 2010 in the Philippines. I remember being there when their first store opened, and honestly the Bon Chon Chicken then still tastes the same as today... and that is a lot to be thankful for! But really, trust me when I say Bon Chon Chicken is darn good! Call 6331818 now and ask it to be delivered right at your doorstep!